Once again this year, the Neath Rugby Supporters Club’s annual Hall of Fame night was a complete sell out with fans, current squad members and past greats gathering for a memorable evening celebrating the history of Neath RFC. The evening was compared by Neath historian (and budding stand up comedian) Mike Price. The first presentations of the night were to loyal servants Alec Jenkins and Leon Ward, who played their 100th games for the club during the course of the season. They were presented with their club caps by ex Neath outside half, Dai Parker. Next, promising young centre Kieran Williams was presented with a special commemorative photo to mark his first cap for the Grand Slam winning Wales U20 side. Legendary Neath flanker Dai Morris did the honours. The evening then moved on to the current squad’s annual awards. 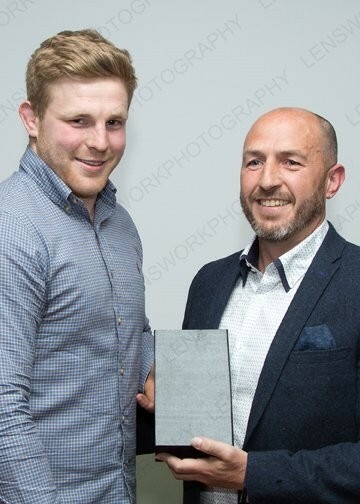 The recipients were prop Geraint James (Best Newcomer), outside half/centre Iwan Evans (Best Young Player) and flanker Leon Ward (Clubman of the Year). The next presentation was made to stalwart Neath, Nicky Downs. Having played over 200 games for the club, the popular prop recently announced his retirement and was presented with some framed prints to commemorate his time with the club. The first half of the night concluded with the awarding of the Neath Rugby Supporters Club’s Player of the Year award, as voted for by members of the supporters club. In what was turning out to be a good night for him, Leon Ward was announced as the winner. The night then moved on to the Hall of Fame presentations with legendary prop Courtenay Meredith. Unfortunately, he couldn’t be with us on the night, so it was left to Dai Parker to collect the award on his behalf. Glyn Shaw was next to receive his cap before regaling the audience with stories of past deeds before offering inspiring words of encouragement to the current squad. Next was the third prop of the evening, Jeremy Pugh to receive his award. He had the room howling with laughter with tales of club tours to America. 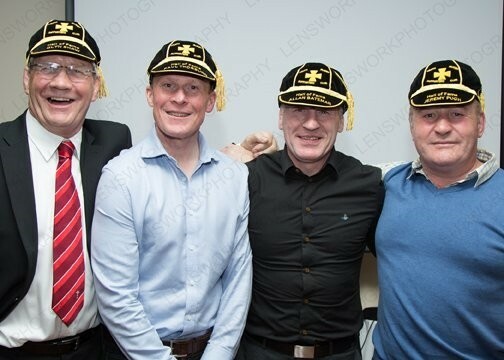 Allan Bateman then received his Hall of Fame cap before speaking eloquently about his time at the Gnoll, including reminiscing about that break against New Zealand. Finally it was full back Paul Thorburn who received his cap, and once again entertained the crowd with stories of old. One thing that clearly came across from each of the inductees, is the passion they have for the club, and even now, years after retiring, the pride they have in saying that they played for Neath still exists. It only remains for us to thank those who helped make the evening a success, including Paula for her sterling work in selling the raffle tickets, Simon for manning the doors and Mike for comparing the evening. We hope everyone enjoyed themselves and look forward to arranging next year’s event. This entry was posted in Hall of Fame and tagged 2016, Hall of Fame, HoF. Bookmark the permalink.